Discussion in 'Land' started by Dean Wang, Mar 10, 2018. Its a good mod, but why no 4wd? And how can i add it? 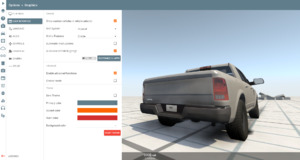 Enable "Show custom vehicles in vehicle selector"
Do that before you leave something like "does not work"
Did you read the front page ? I'm aware of that and the brake pads are sort of out if place too. It should be fixed on the next update.